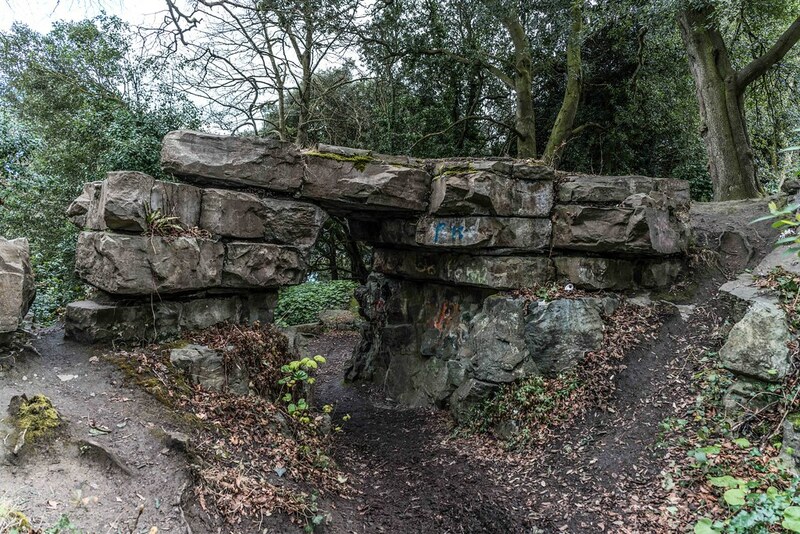 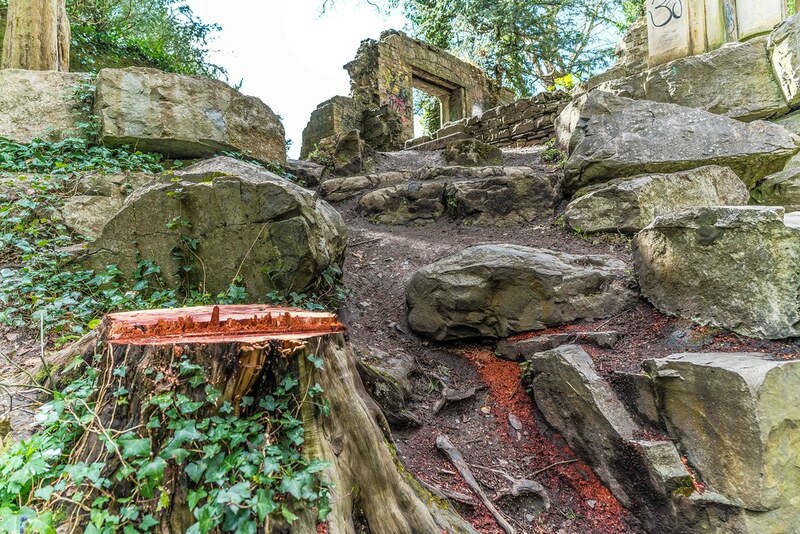 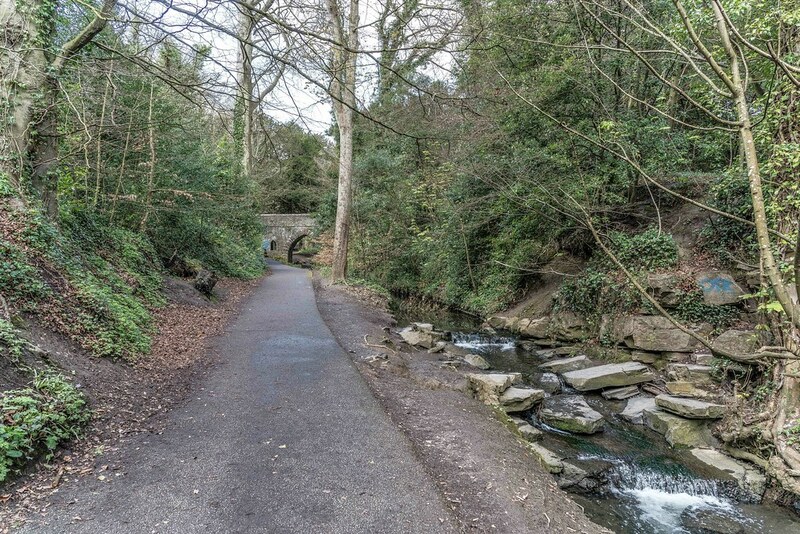 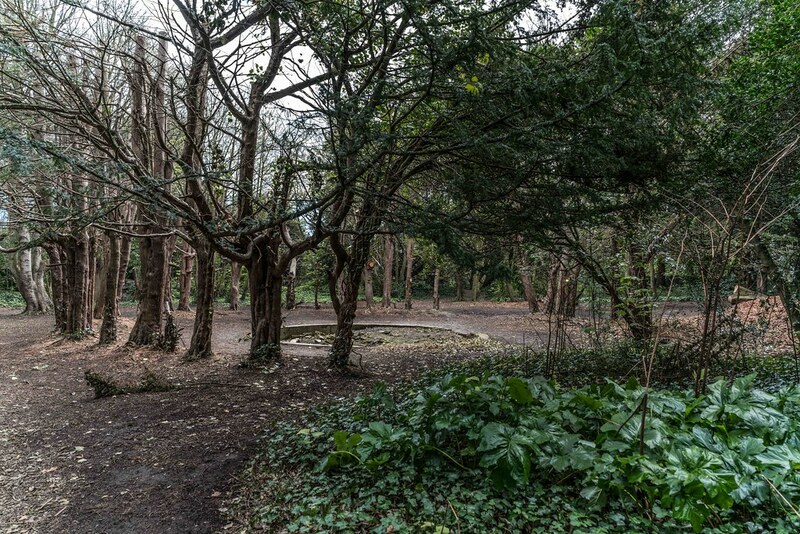 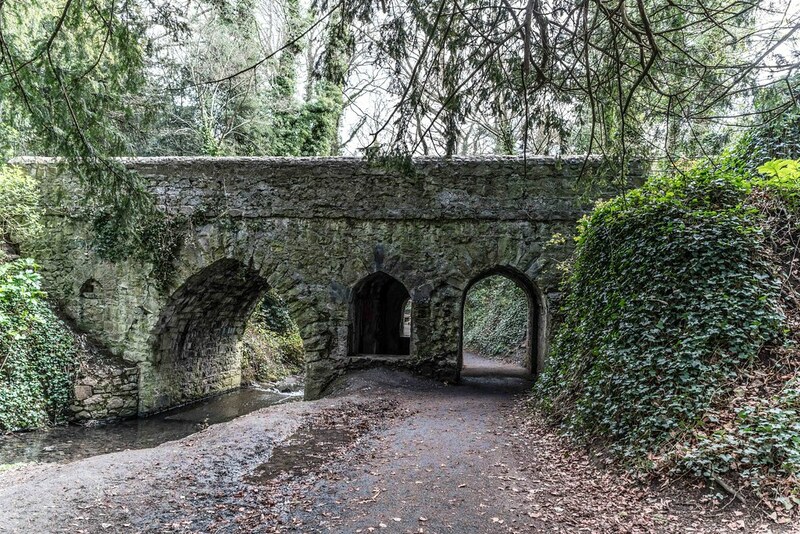 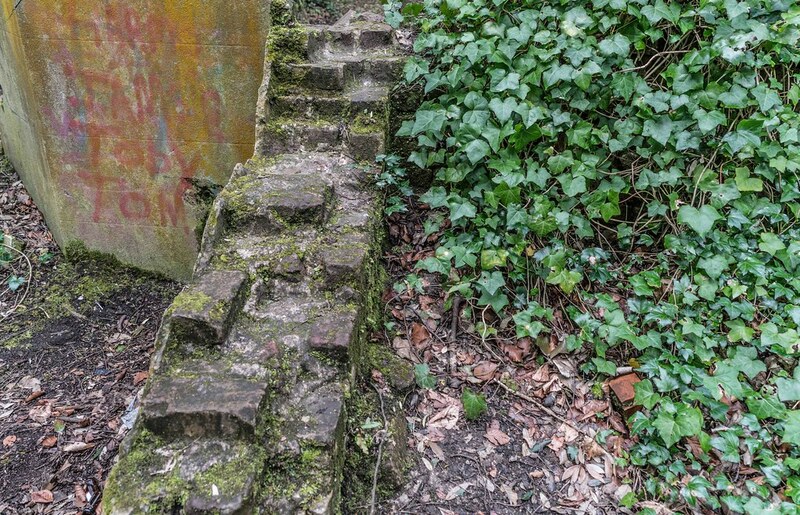 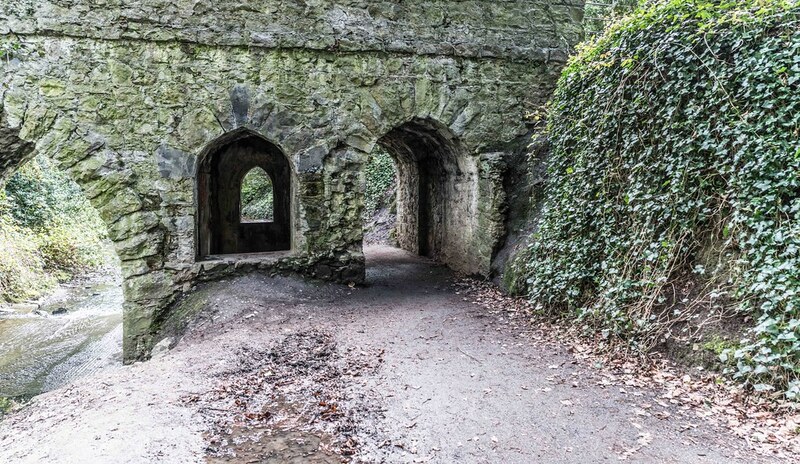 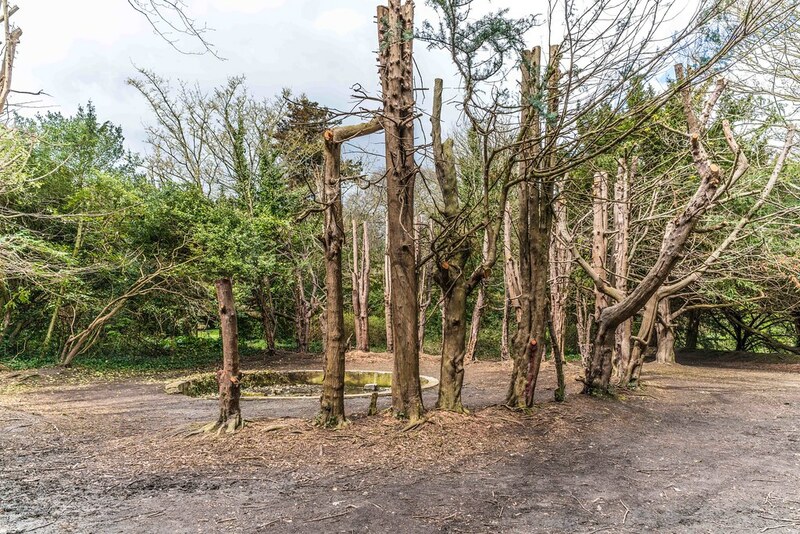 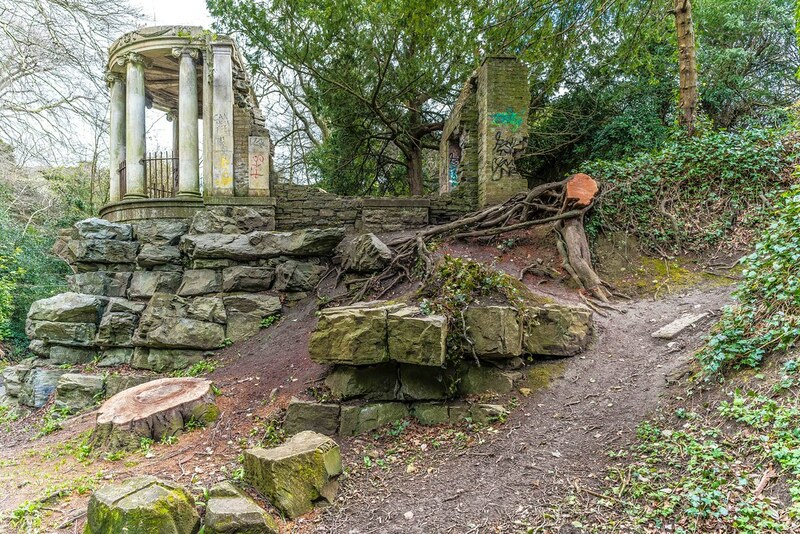 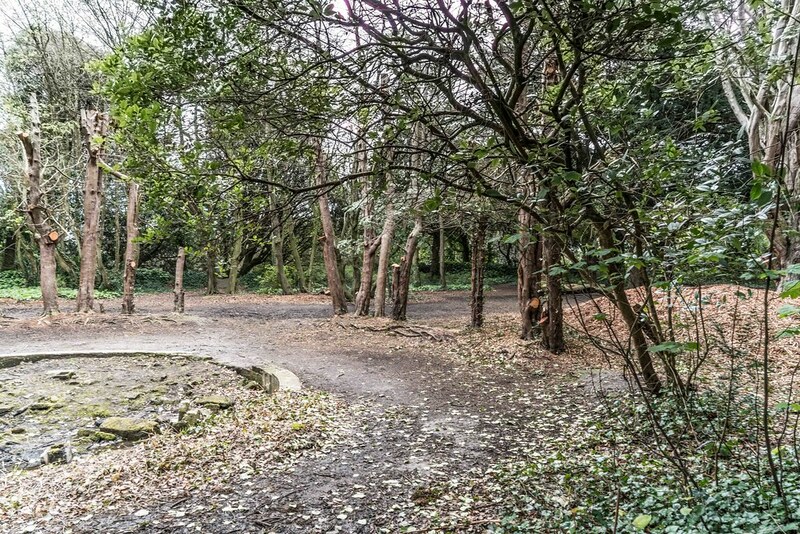 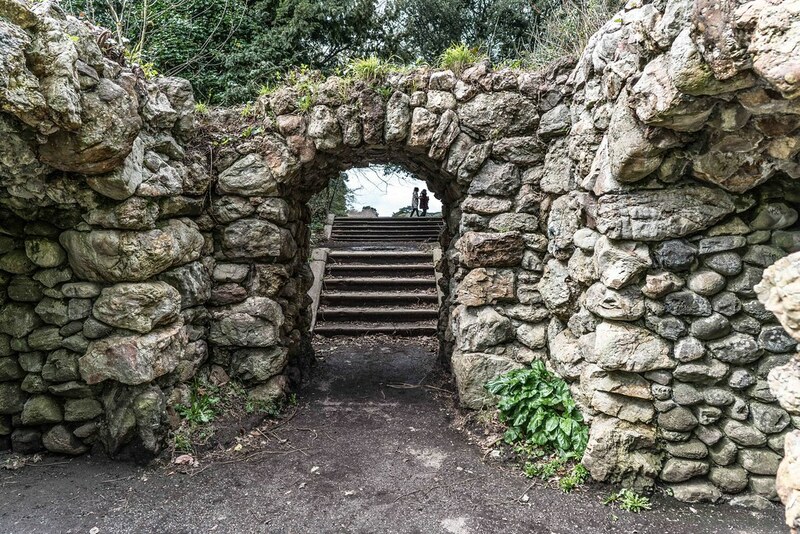 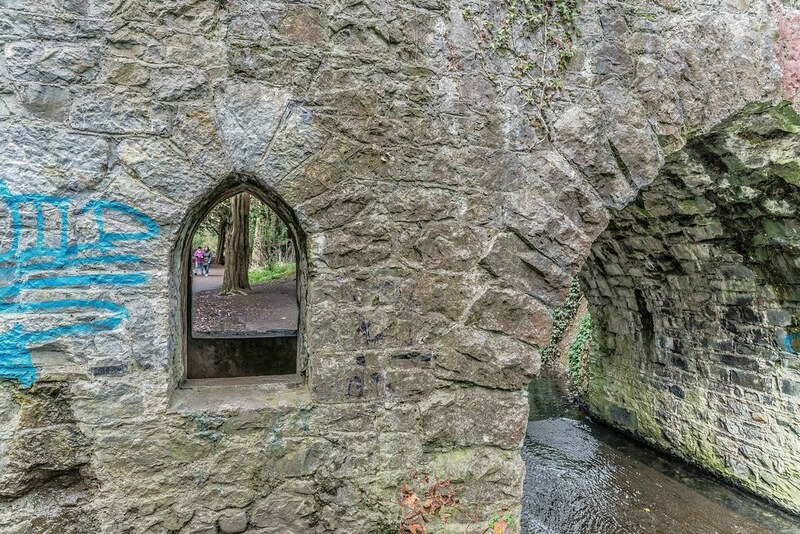 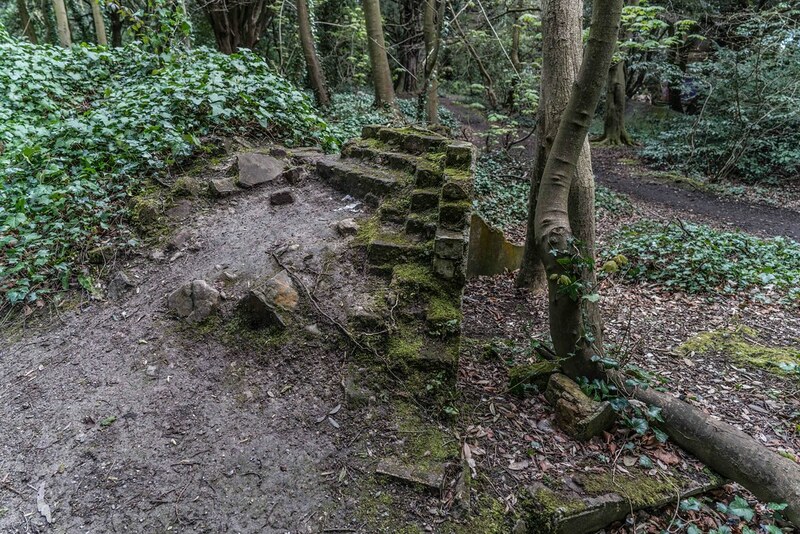 This is the first time that I have used the Zeiss Batis lens to photograph the various follies in St.Anne’s Park and I must admit that I am very happy with the results mainly because of the detail captured in the images that I have published online. 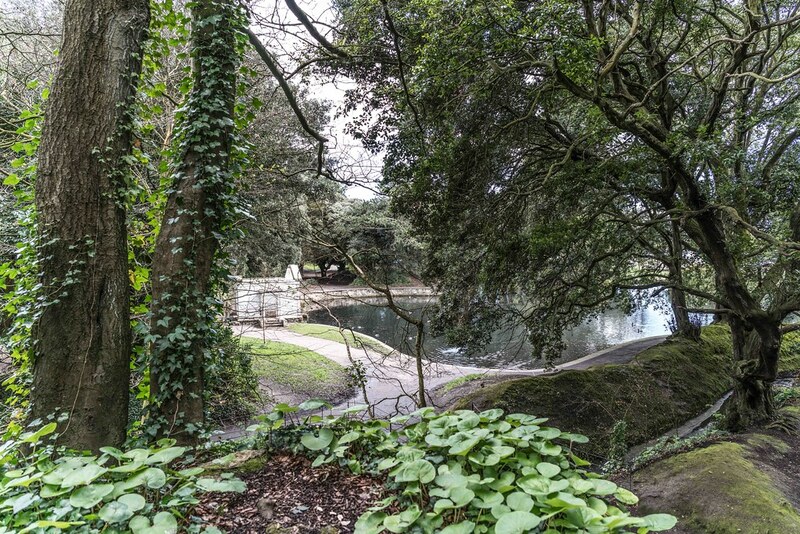 I am so pleased with the 25mm lens that I have decided to purchase the new 18mm Batis if I can raise the cash. 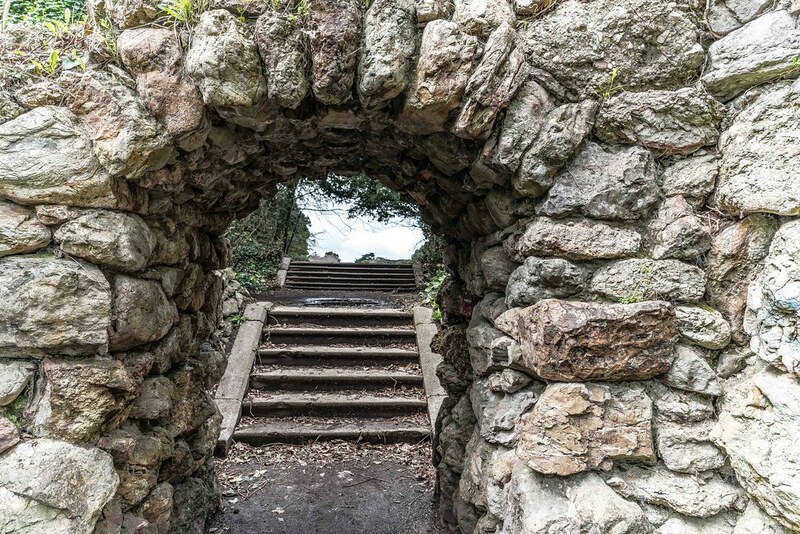 I am also considering the new Sony GM lenses but they may prove to be too expensive for me. 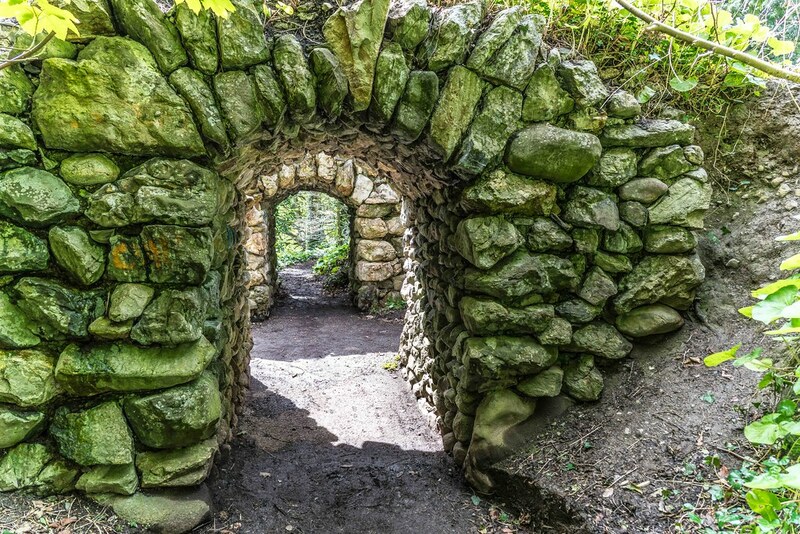 St. Annes is known for its follies, of which there are approximately ten, mainly around the Naniken river. 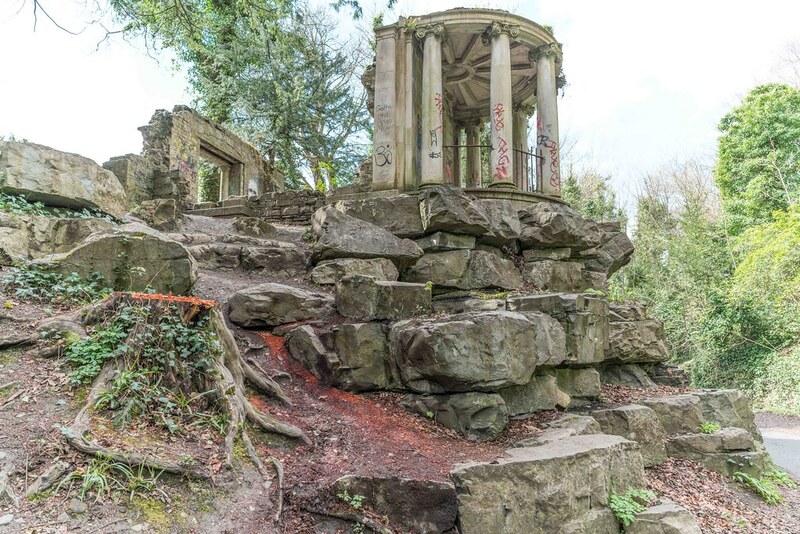 The follies include a Herculanean Temple on a mock-ruined bridge abutment along the Naniken river, which served as a tearoom for the family, a Pompeian Water Temple of Isis on the banks of the duckpond, and the Annie Lee Tower and Bridge near the chestnut walk. 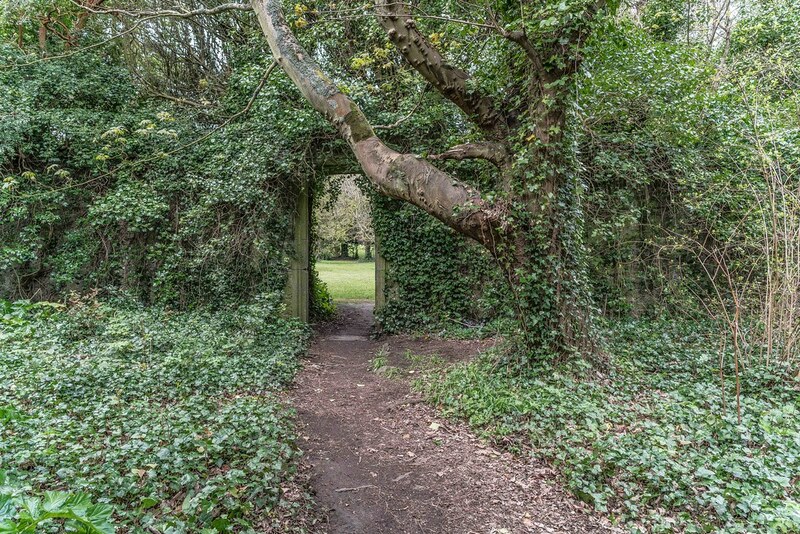 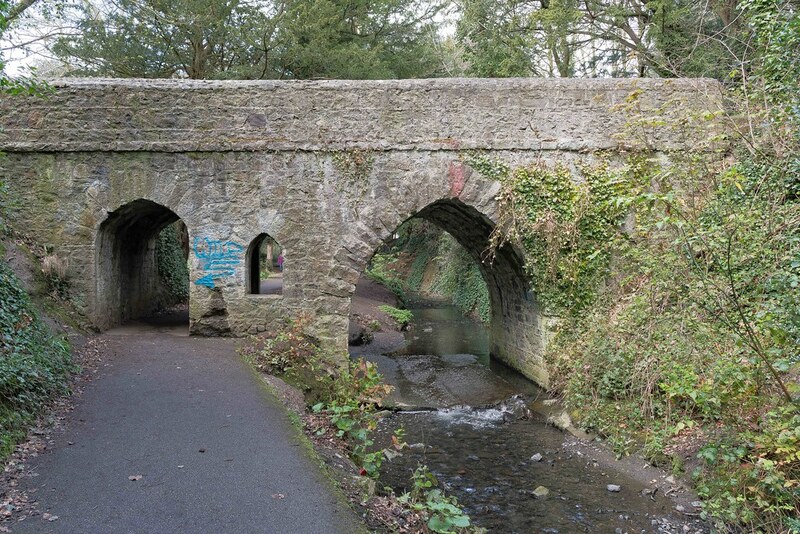 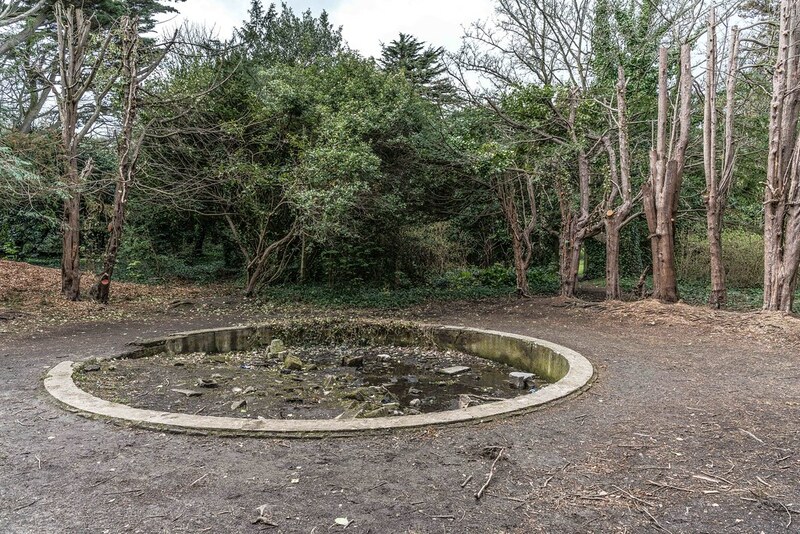 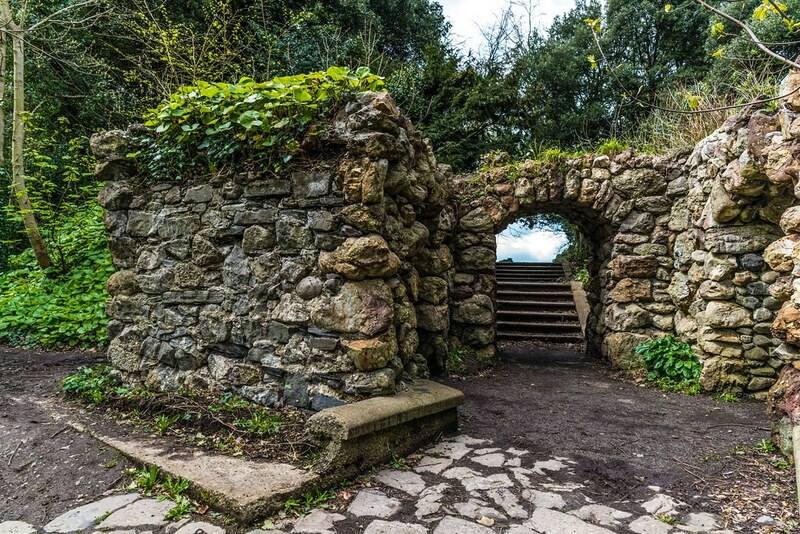 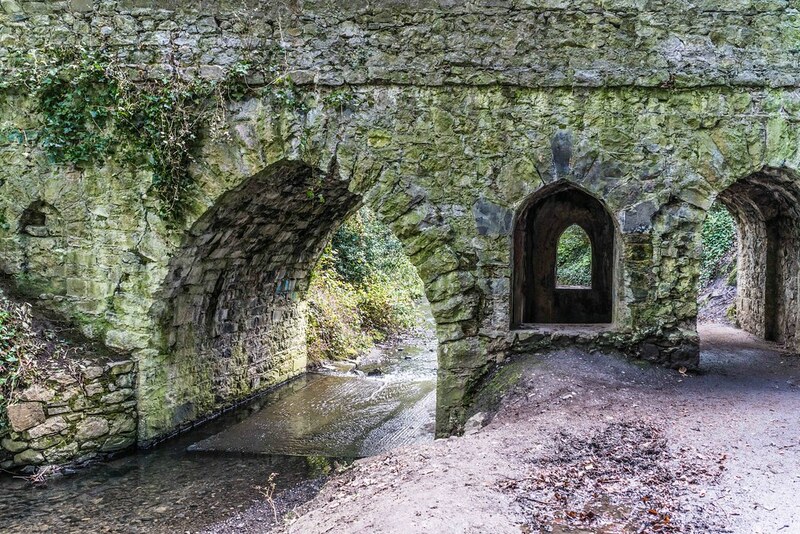 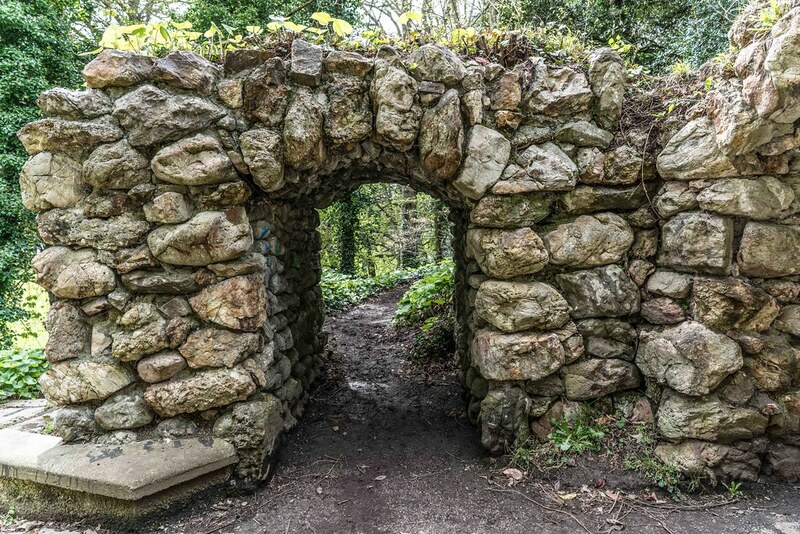 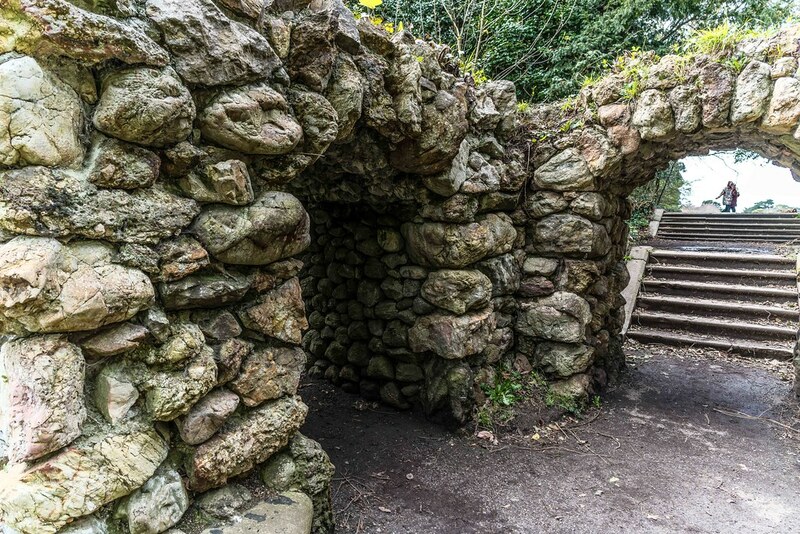 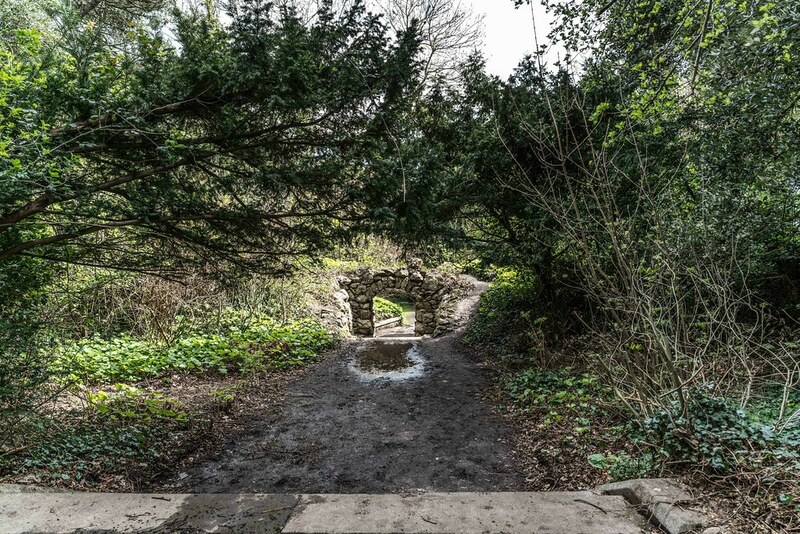 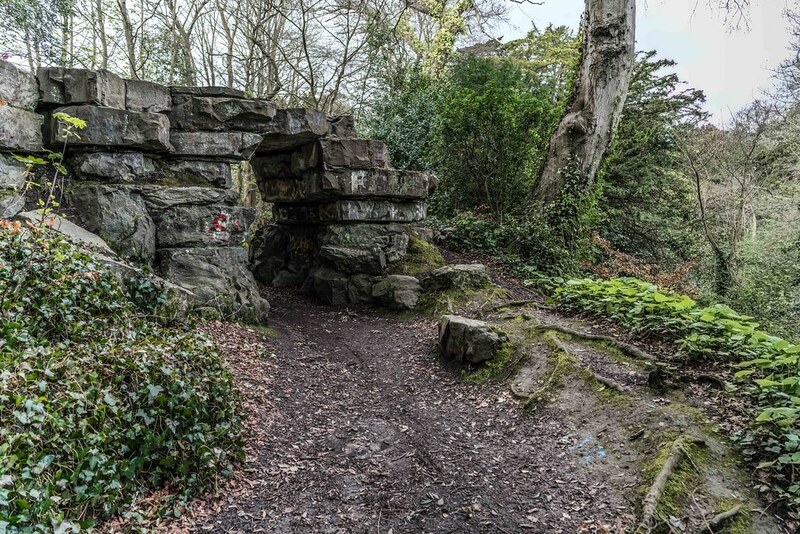 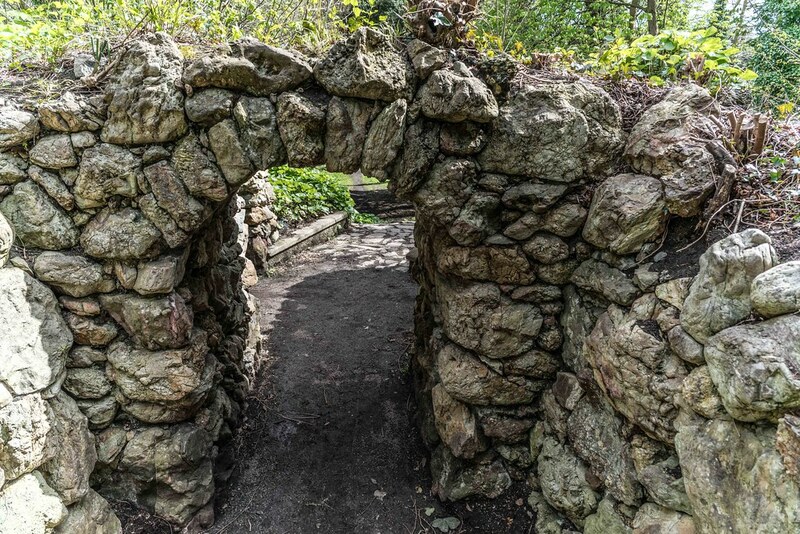 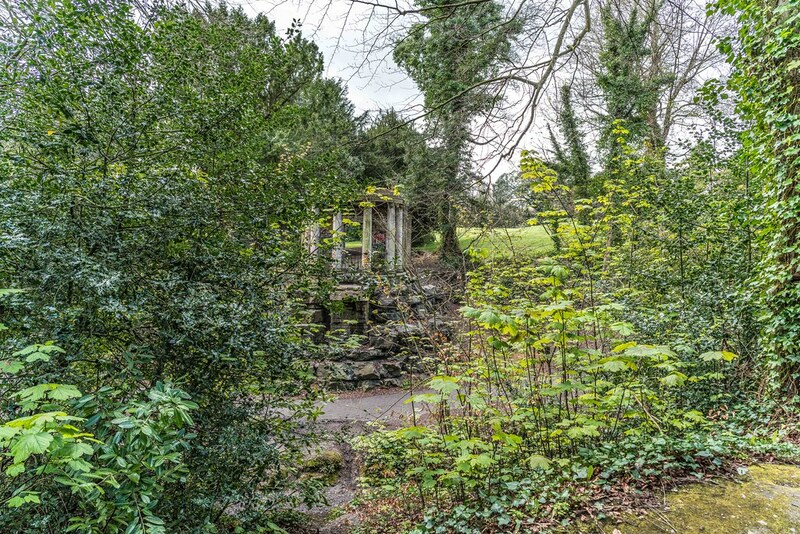 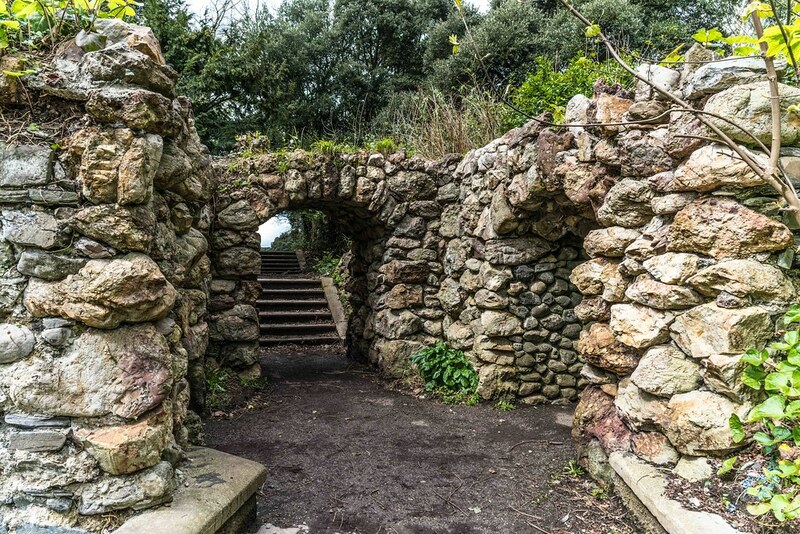 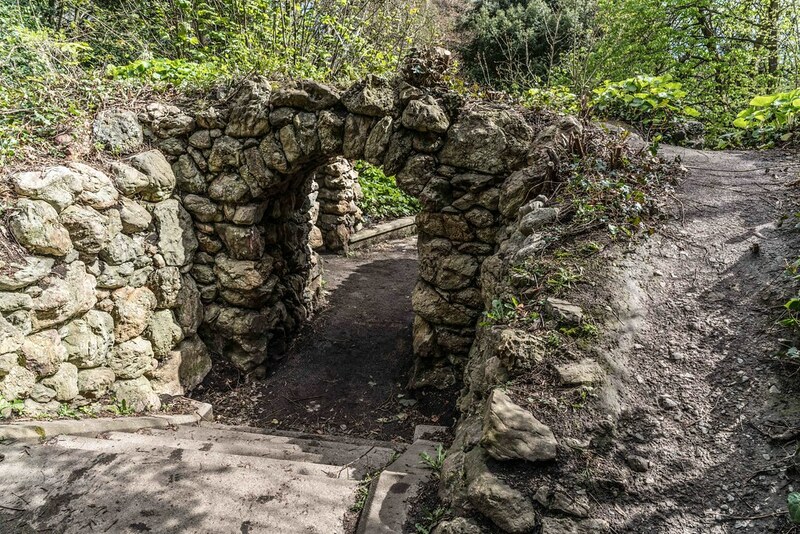 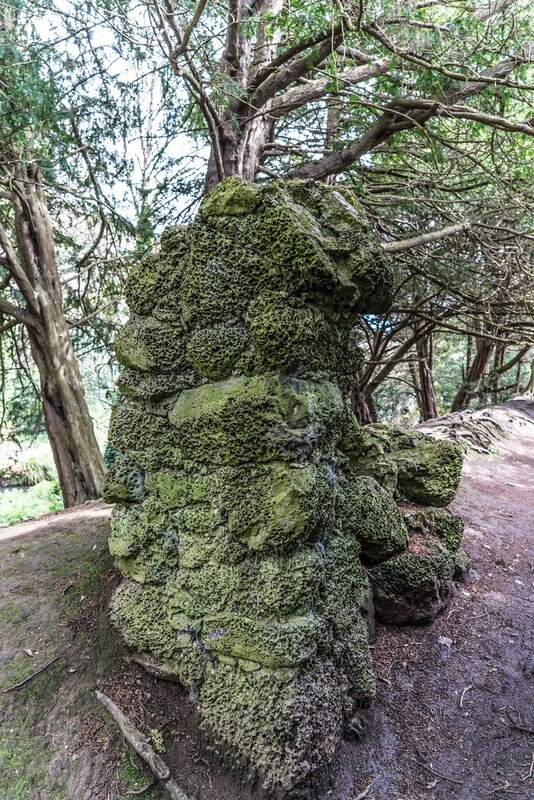 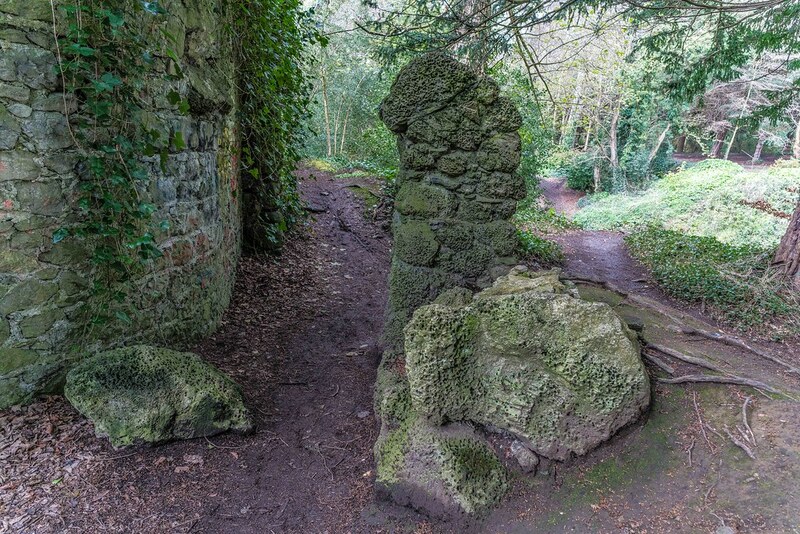 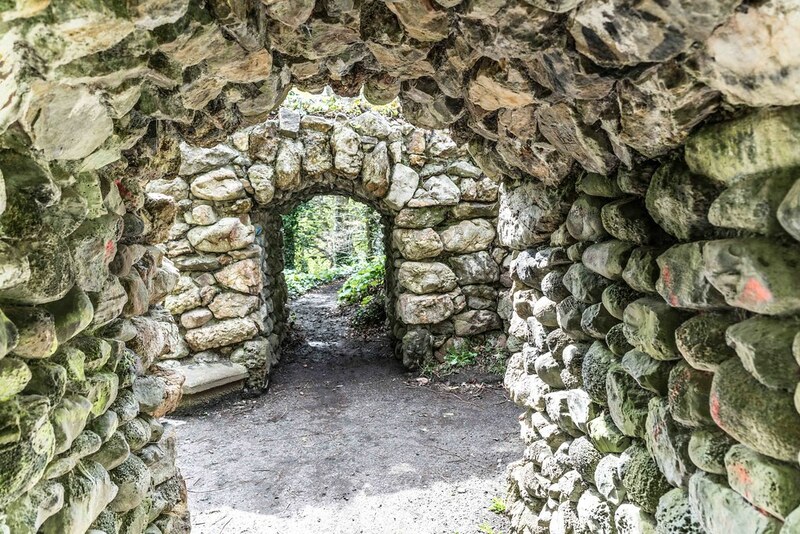 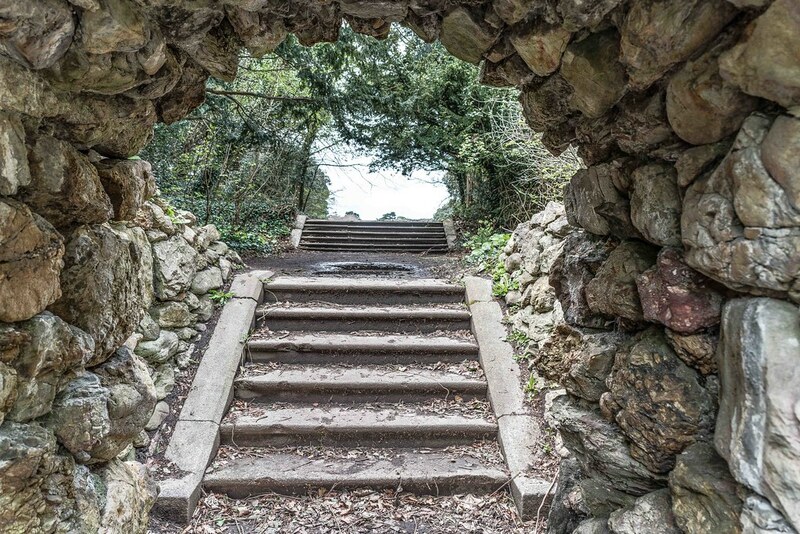 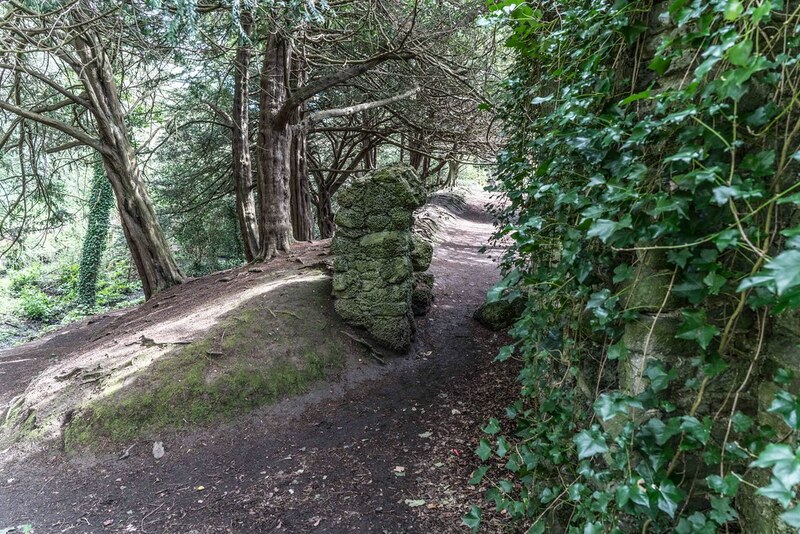 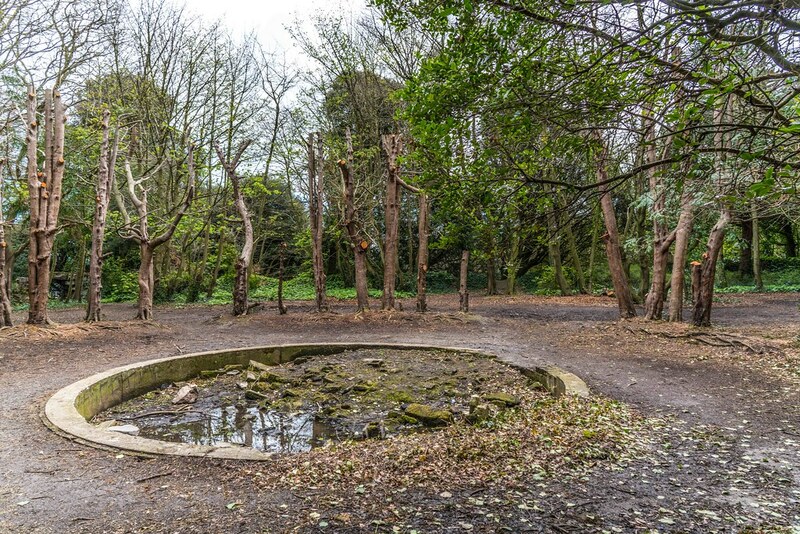 Other follies include Saint Anne's Well beside the duckpond, after which the park gets its name, the Hermitage Bridge, Yew Circle and Fountain (behind the formal walled garden beside the house), rustic cave and bridge, three rustic archways and a rock work feature. 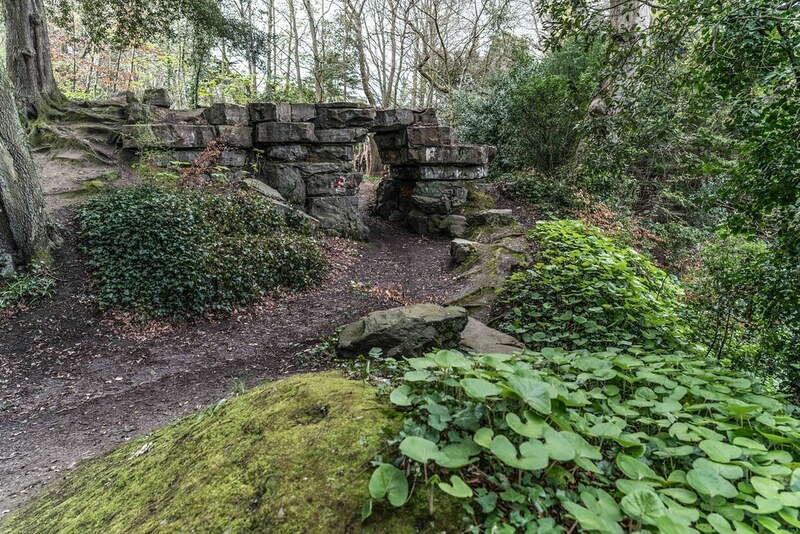 A "Druidic Circle" of Giant's Causeway basalt was lost at an earlier stage. 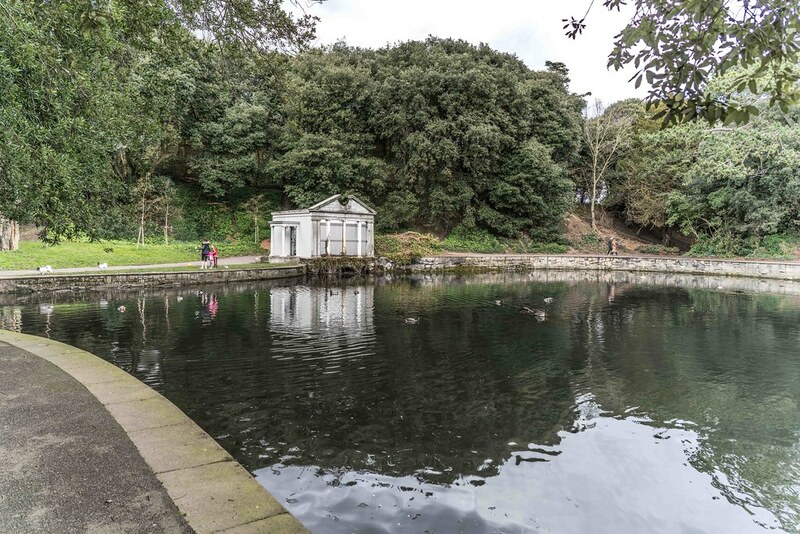 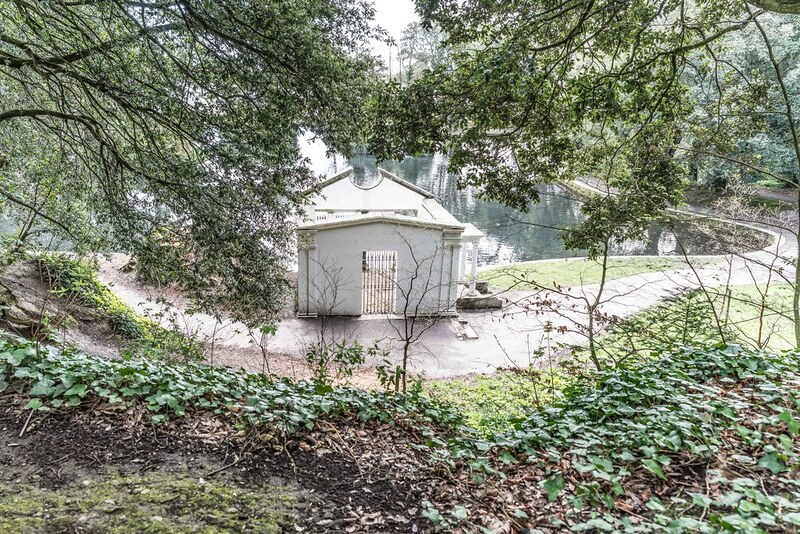 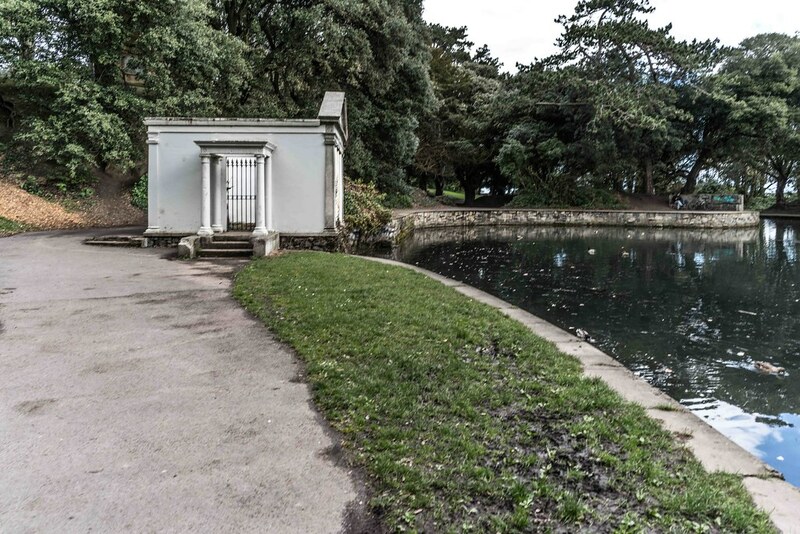 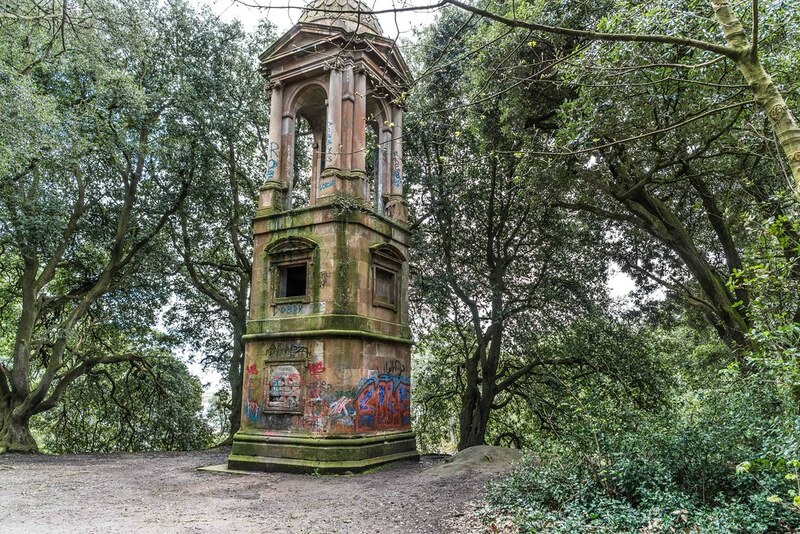 An unusual folly is the Roman style viewing tower which stands on the hill overlooking the duckpond. 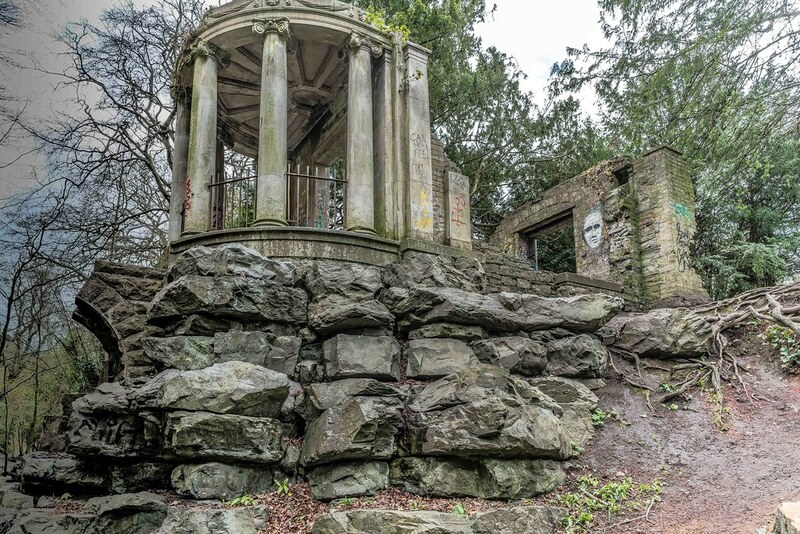 This started out as an observation tower on the roof of the original house. 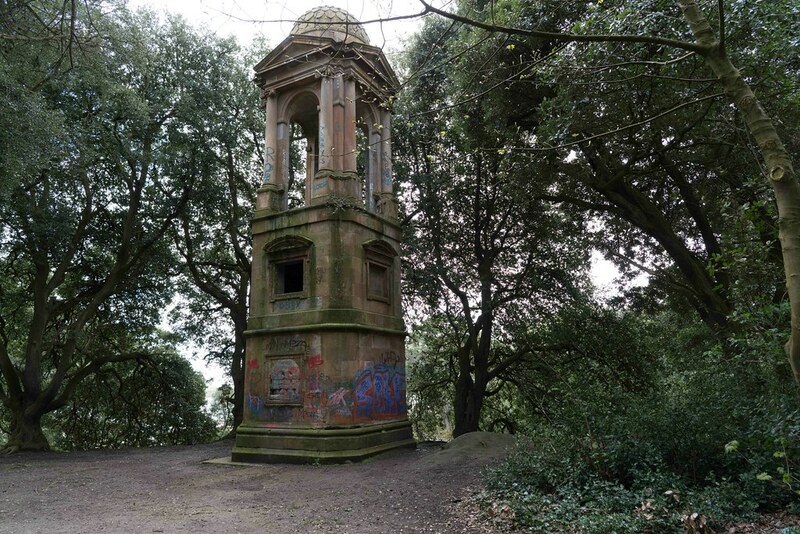 Later, the tower was removed during extensive refurbishment of St. Anne's house in about 1873 and placed in its current location. 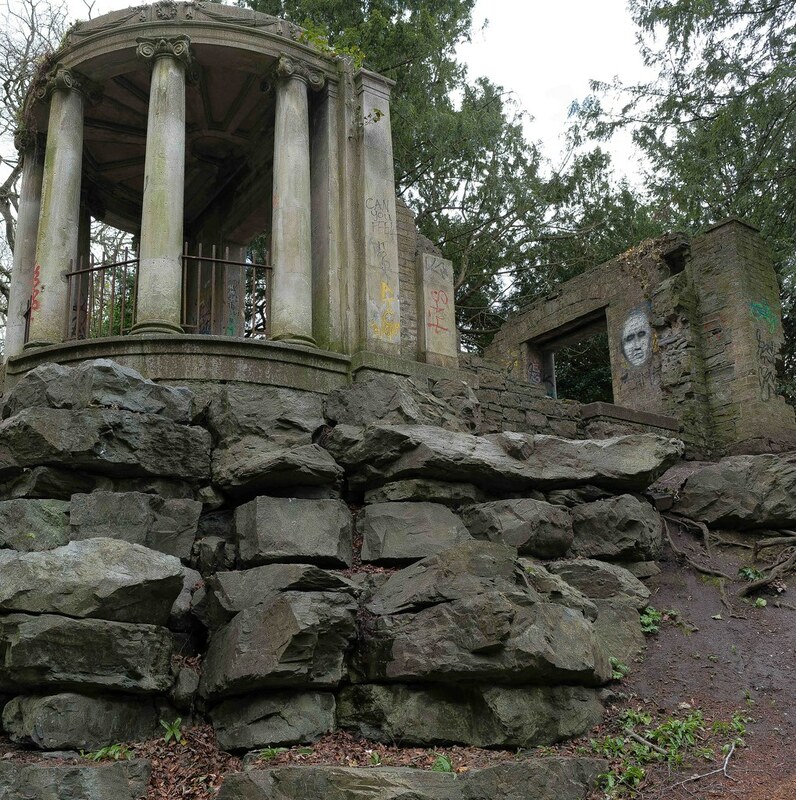 It is modelled on the Tomb of the Julii at Glanum near St. Rémy in France. 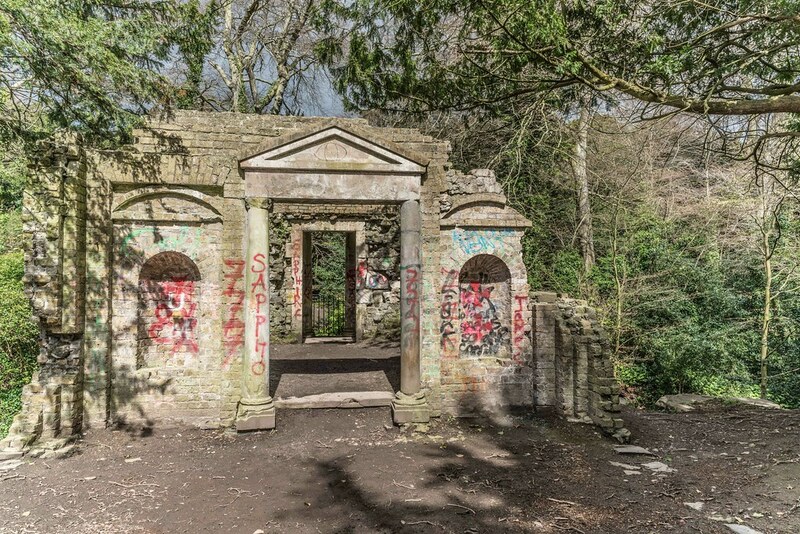 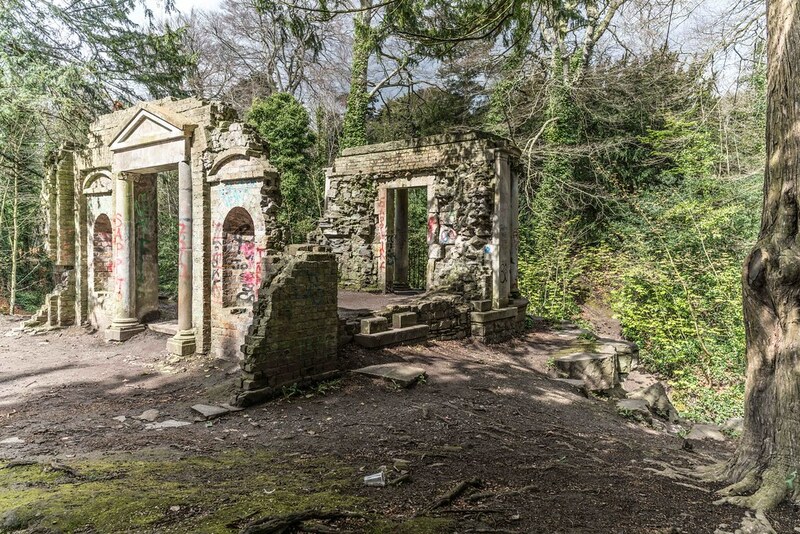 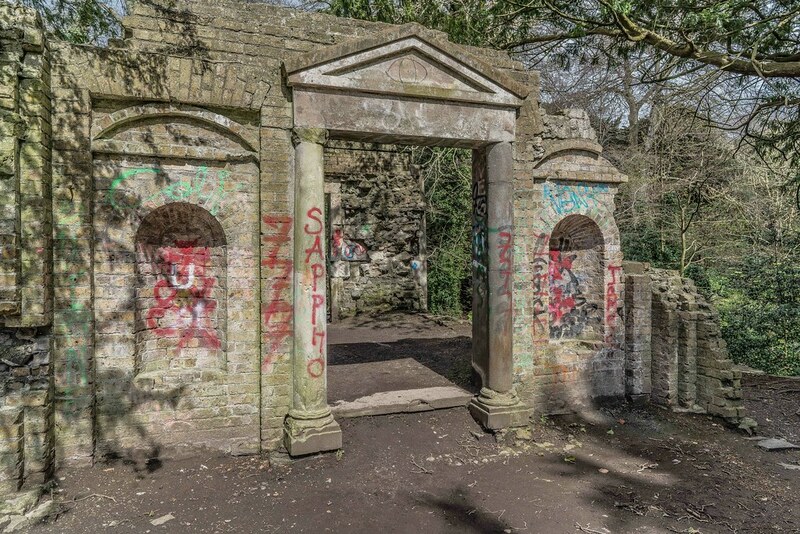 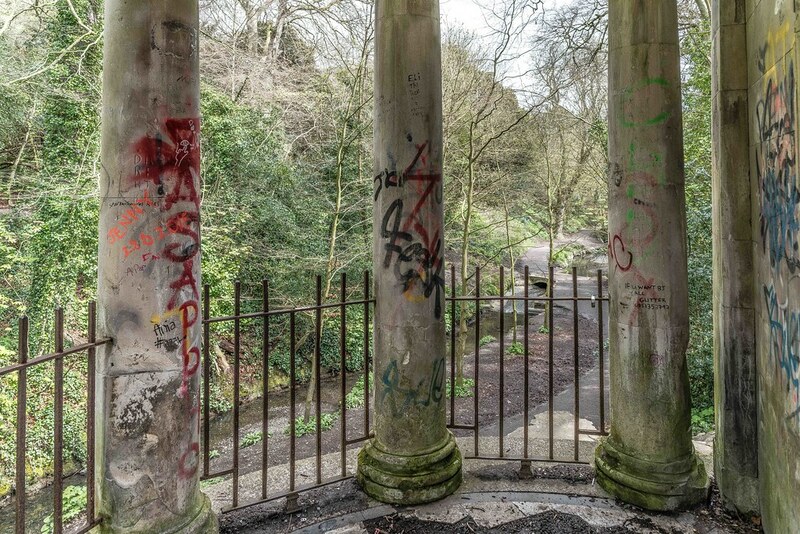 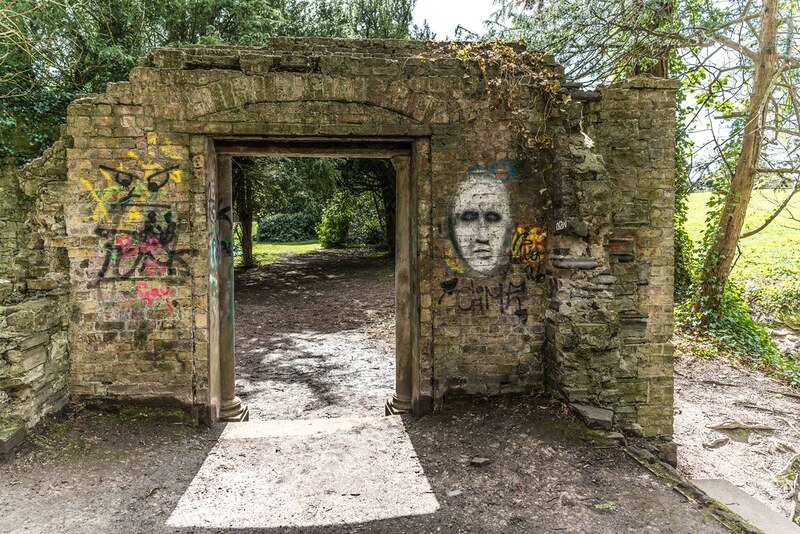 Many of the follies are in a neglected condition at present, with graffiti being an ongoing problem. 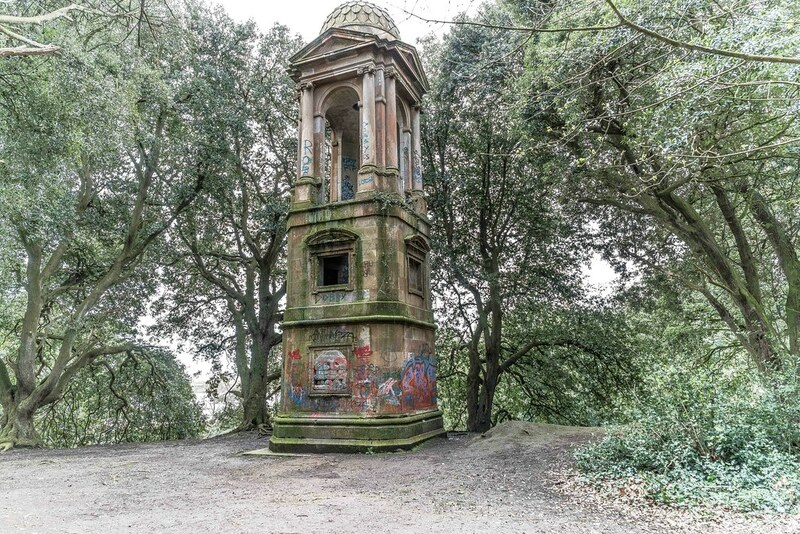 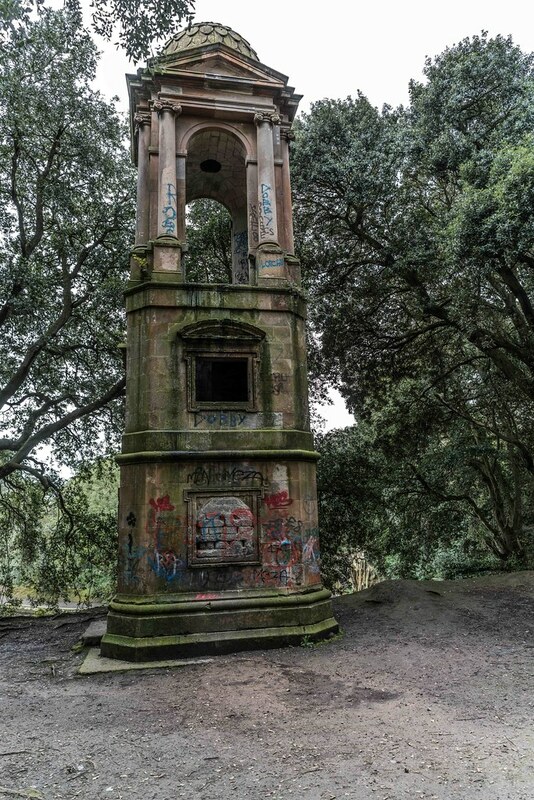 For example, the Roman style viewing tower is graffiti covered and has been closed for many years. 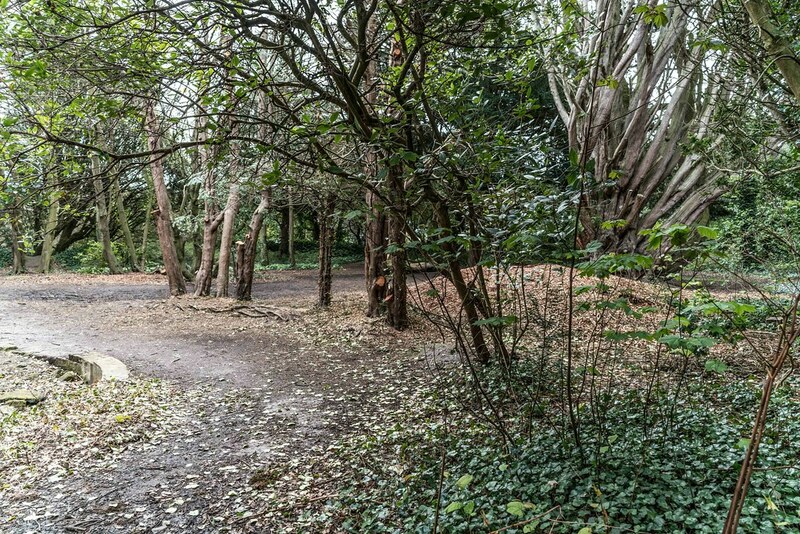 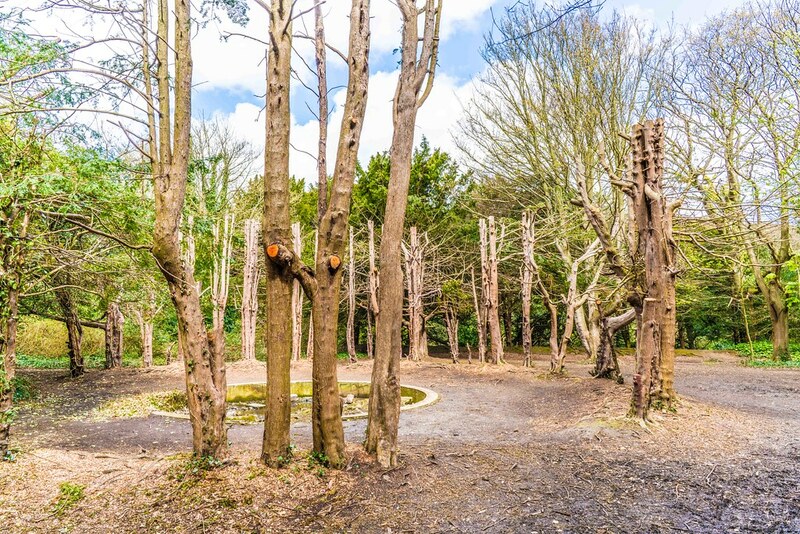 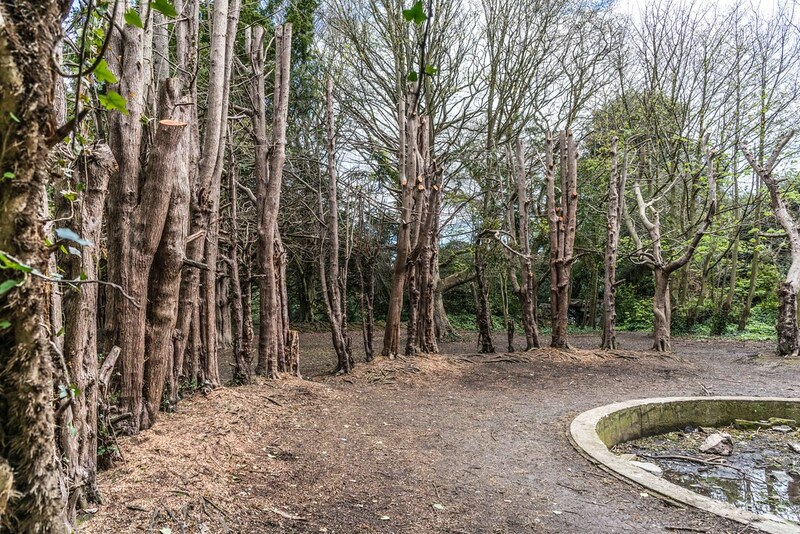 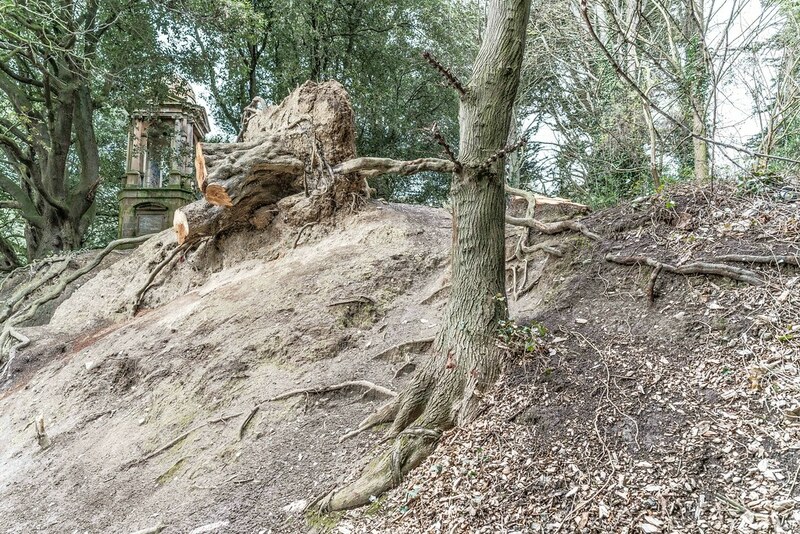 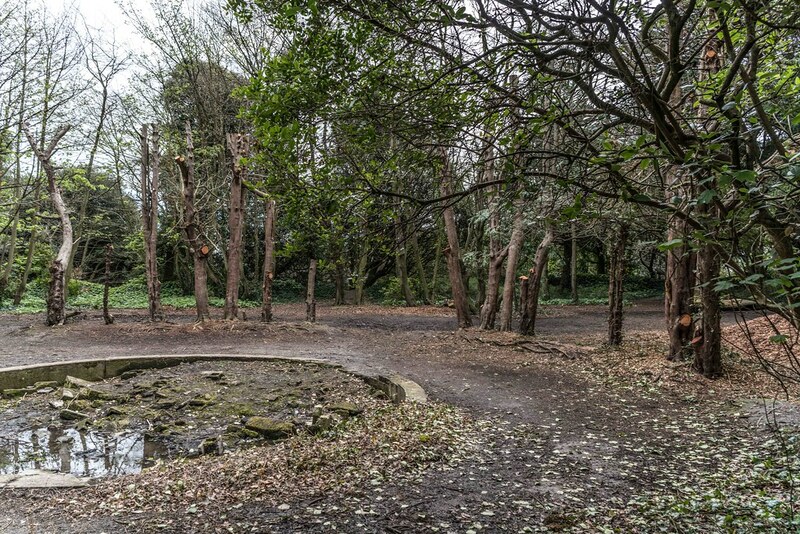 In addition it is completely hidden by mature trees and could only be revealed by felling them, which would be detrimental to the environment of the park. 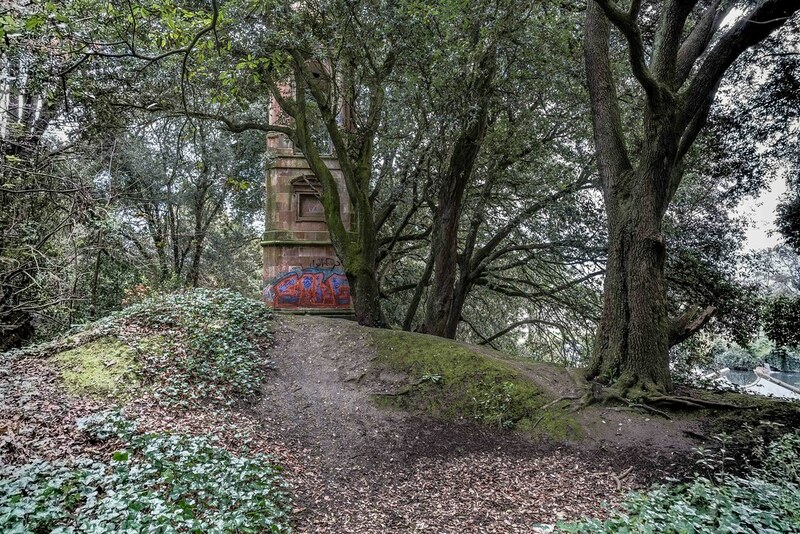 An alternative proposal is that the tower be moved instead to the site of the old rockery, near the junction of James Larkin Road and Mount Prospect Avenue.